Fujifilm has announced several new additions to its X-Series line of premium fixed and mirrorless cameras and ultra-high quality lenses. The new products include the Fujifilm X-Pro2, Fujifilm X-E2S, Fujifilm X70, Fujinon XF100-400mm f4.5-5.6 R LM OIS WR and the new rugged and waterproof FinePix XP90. Following is a brief roundup of the new announcements. The X-Pro2, which we covered in a separate story, is the new flagship range-finder style camera in the X-Series line featuring an innovative Advanced Hybrid Multi Viewfinder capable of instantly switching between optical and electronic finders, a new 24.3-Mp X-Trans CMOS III sensor for truly remarkable image resolution and a new X-Processor Pro that delivers dramatically improved response times for unmatched performance. The new X-E2S premium rangefinder-style mirrorless camera features a durable, compact body with a Real-Time Viewfinder and an electronic viewfinder with the world's short display lag time of just .05 seconds. The X-E2S also features an enhanced autofocus system, an improved grip, an electronic shutter and a new, easy-to-use graphical user interface design. The X70 is a newly-designed premium fixed lens digital camera with a Fujinon 18.5mm f2.8 lens (28mm in 35mm format equivalent) and is the first X-Series camera to offer a touchscreen display that rotates 180 degrees, enabling users to shoot from up high, down low and capture selfies. It features a 16.3-Mp APS-C X-Trans CMOS II Sensor, milled aluminum dial controls, aperture settings in 1/3 stop increments and a new Auto Mode Switch lever. The new Fujinon XF100-400mm f4.5-5.6 R LM OIS WR is a weather-sealed, superior telephoto lens with a 152mm-609mm equivalent in 35mm format. It has an optical construction of 21 elements in 14 groups and includes five ED lenses and one Super ED lens to help reduce chromatic aberration. Designed for handheld shooting with a 5.0-stop image stabilization system, its twin linear motors provide quick autofocus. The new XP90 rugged digital camera is waterproof to 50 ft., shockproof from 5.8 ft., freezeproof to 14 degrees F/-10 degrees C and dustproof. It features a 16.4-Mp CMOS sensor with a 28-140mm 5x optical zoom lens, WiFi connectivity for one touch transfers to smartphones and tablets and captures full HD movies at 1080p, even underwater. 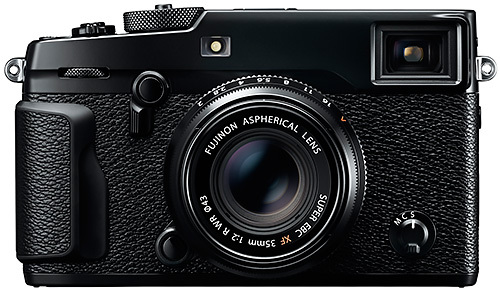 The Fujifilm X-Pro2 (body only) will be available in late February for $1,699.95. 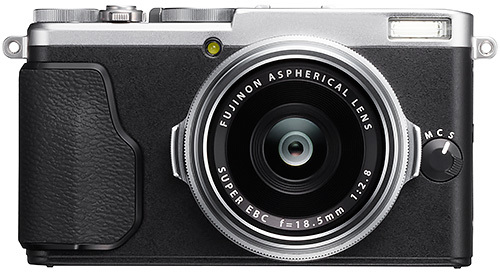 The Fujifilm X-E2S (body only) will be available in February for $699.95. The Fujifilm X-E2S kit (with Fujinon LENS XF18-55mmF2.8-4 R LM OIS) will be available for $999.95. The Fujifilm X70 will be available in February for $699.95. 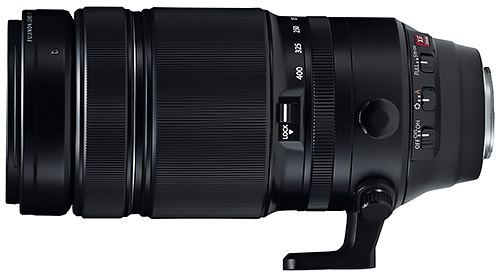 The Fujinon XF100-400mmF4.5-5.6 R LM OIS WR will be available in February for $1,899.95. 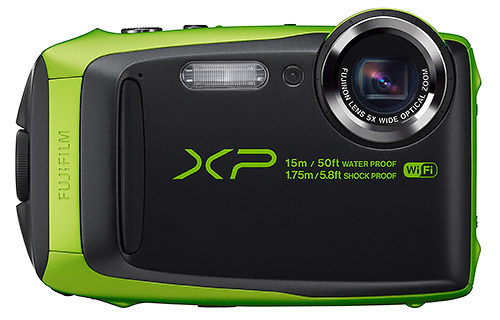 The FinePix XP90 will be available in February for $229.95. VALHALLA, N.Y. -- Fujifilm North America Corp. has announced new additions to the award-winning X-Series line of premium fixed and mirrorless cameras and ultra-high quality lenses, including: the Fujifilm X-Pro2, Fujifilm X-E2S, Fujifilm X70 and Fujinon XF100-400mmF4.5-5.6 R LM OIS WR. Fujifilm also introduced the new rugged and waterproof FinePix XP90, perfect for capturing amazing images everywhere, from underwater to mountain tops. The Fujifilm X-Pro2 is the new flagship range-finder style camera in the award-winning X-Series line. The X-Pro2 is the pinnacle of X-Series photography and gives professional photographers an innovative Advanced Hybrid Multi Viewfinder capable of instantly switching between optical and electronic finders, a new 24.3-Mp X-Trans CMOS III sensor for truly remarkable image resolution and a new X-Processor Pro that delivers dramatically improved response times for unmatched performance. The new Fujifilm X-E2S, a premium rangefinder-style mirrorless camera, has a durable and compact body and features a Real-Time Viewfinder with a large magnification of 0.62x and an electronic viewfinder with the world's short display lag time of just .05 seconds. The X-E2S also gives users an enhanced autofocus system, an improved grip, an electronic shutter and a new, easy-to-use graphical user interface design allowing faster access to essential settings. Fujifilm will release a new firmware update for the original Fujifilm X-E2 that will give it the same software improvements as the new Fujifilm X-E2S. The firmware will include the updated autofocus system, improved performance and the new graphical user interface, along with several functional enhancements. For a complete list of new features, visit new firmware update. The new firmware will be available in early February. The Fujifilm X70 is a newly designed premium fixed lens digital camera that features a Fujinon 18.5mm f2.8 lens (28mm in 35mm format equivalent), suitable for a range of applications from landscapes to everyday snapshots. The new X70 elegantly combines simple manual operation with superior image quality and versatile picture-taking functions and is the first X-Series camera to offer a touchscreen display that rotates 180 degrees, enabling users to shoot from up high, down low and capture selfies. 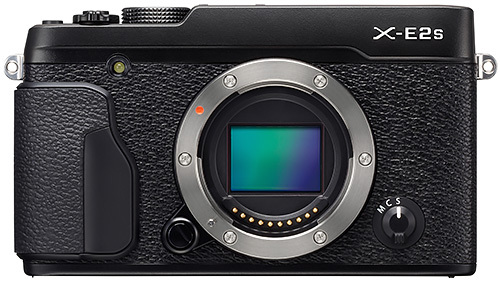 The compact Fujifilm X70 uses a 16.3-Mp APS-C X-Trans CMOS II Sensor for extraordinary image resolution and gives photographers milled aluminum dial controls, as well as aperture settings in 1/3 stop increments and the new Auto Mode Switch lever for selecting its fully automatic Advanced SR Auto mode. In this mode, the camera automatically chooses the optimum settings for great results on any scene. The new Fujifilm X70 features a responsive touchscreen -- a first for the X-Series. Now, photo enthusiasts can use the Touch Panel for operations during shooting and playback modes. For shooting, users can select their focus area and touch-to-shoot. During playback, users can swipe their finger to scroll through images, double-tab to enlarge images and drag to view different points on the picture and pinch-out and pinch-in to enlarge and reduce the image view. Users can also disable the touchscreen functions at any time by turning the Touch Panel Settings to Off. The new Fujinon XF100-400mm f4.5-5.6 R LM OIS WR is a weather-sealed, superior telephoto lens that gives photographers exceptionally sharp images with a 152mm-609mm equivalent in 35mm format. The high-performance XF100-400mmF4.5-5.6 R LM OIS WR has an optical construction of 21 elements in 14 groups and includes five ED lenses and one Super ED lens to help reduce chromatic aberration that often occurs in telephoto lenses. As a result, it delivers the highest image quality in its class. The XF100-400mm f4.5-5.6 R LM OIS WR has been designed for handheld shooting with a 5.0-stop image stabilization system and twin linear motors for speedy autofocus that makes it perfect for shooting fast-moving subjects. The lens is also water and dust resistant and can operate in temperatures as low as 14 degrees F, making it suitable for use in a wide range of outdoor shooting conditions. A fluorine coating has also been applied to the front lens element to repel water and dirt, further improving the toughness and functionality of the lens. The new FinePix XP90 rugged digital camera is waterproof to 50ft./15m, shockproof from 5.8ft./1.75m., freezeproof to 14 degrees F/-10 degrees C and dustproof. It features a 16.4MP CMOS sensor with a 28-140mm 5x optical zoom lens, WiFi connectivity for one touch transfers to smartphones and tablets and captures full HD movies at 1080p, even underwater.